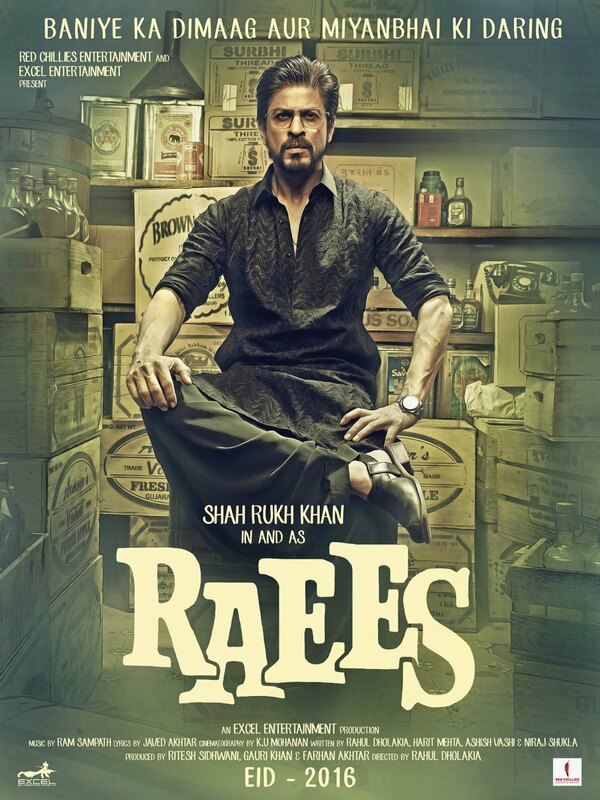 Raees (Shah Rukh Khan in case you haven’t worked that out) grows up working for the local bootleggers, learning the business from the inside out. His mother (Sheeba Chaddha) tells him that no business is beneath them, and no religion is greater than business, as long as they don’t harm anyone. Raees hates being poor, and hates being treated unfairly. He wants respect, money, success. He’s the kind of guy who will exploit the tiniest gap to create something you could drive a fully laden truck through. The man trying to stop him is the eccentric and equally driven Superintendent Majmudar (the excellent Nawazuddin Siddiqui). The film is directed like it was the 70s, the story is set in the 80s/90s, but only the technology dates things. Seeing Raees threatening someone over the phone was something else when that phone was a dinky red racing car one. The Fatehpura neighbourhood is a lively backdrop, teeming with people going about their day in the narrow streets. The songs suit the film and tend to advance the story more often than not (the Not being Zaalima). I wasn’t convinced by Sunny Leone as Laila but that sequence is quite gripping. I think they did a good job of harnessing Shah Rukh’s uncle dancing tendencies and enigmatic walking powers, and I am rarely averse to colour and movement. Overall Rahul Dholakia directs with good pace and attention to the emotional arcs, but he throws everything into his story and that is to the eventual detriment of the film. There are too many subplots unravelling towards the end and the energy fizzles out. 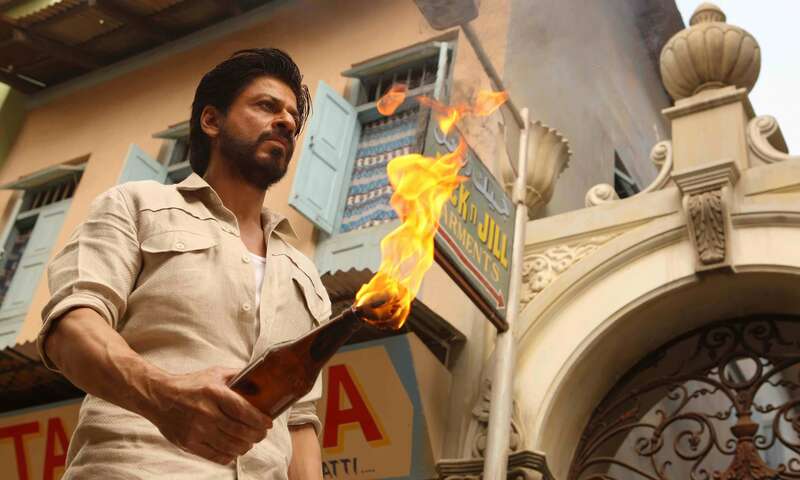 Raees is an anti-hero who knows when he has committed a serious crime and it doesn’t always sit easily with him. I watched an old interview with actor Michael Caine and he was asked about how he could bring himself to play an evil character and make him seem so human. He said the man wasn’t a monster to himself, so he could play him with characteristics of both a decent guy and a cold blooded villain. I think that is what works with Shah Rukh’s portrayal. He looks at ease in Raees skin whether he is praying at his mother’s grave, being carried through the streets in triumph, or going on a brutally efficient killing spree. He shows unusual self-awareness for a filmi hero and a degree of struggle with the consequences of his path. People may see him as a god but he knows he isn’t. 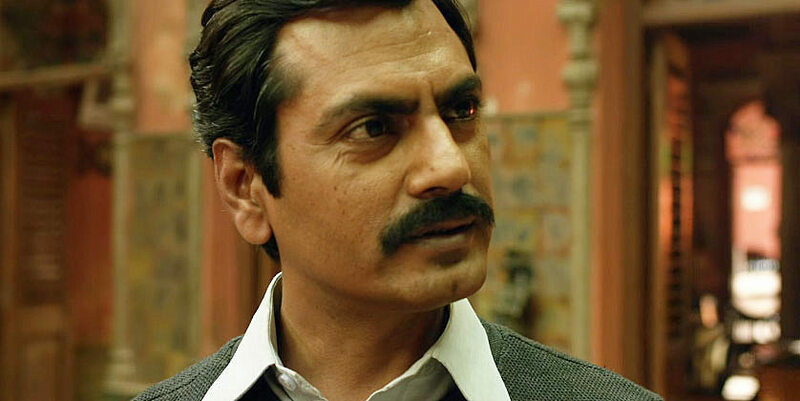 Nawazuddin Siddiqui is Majmudar, that most problematic of policeman – the one who wants to get his man. His epic entrance at the best and tackiest party ever was a perfect set-up for what was to come. Majmudar has a fascination with Raees. He is determined to shut him down but he quite enjoys Raees spirit. I liked how Nawazuddin would smirk, showing a hint of exasperation and a gleam of genuine appreciation when Raees bested him. That and all the sarcastic one liners. 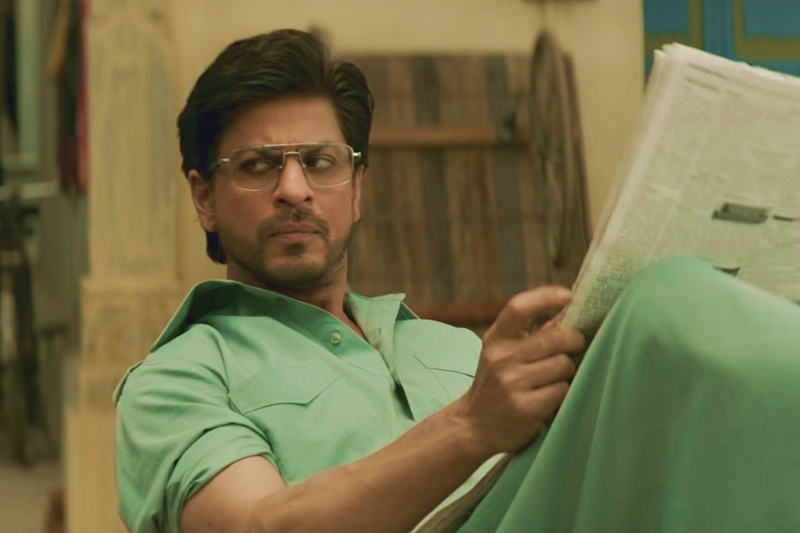 Majmudar spent time tapping Raees’ calls, using the helpfully labelled Phone Tapping Centre from the Central Props Department, and seems almost wistful when he overhears a personal call. But then he is still cold and calculating in his pursuit. 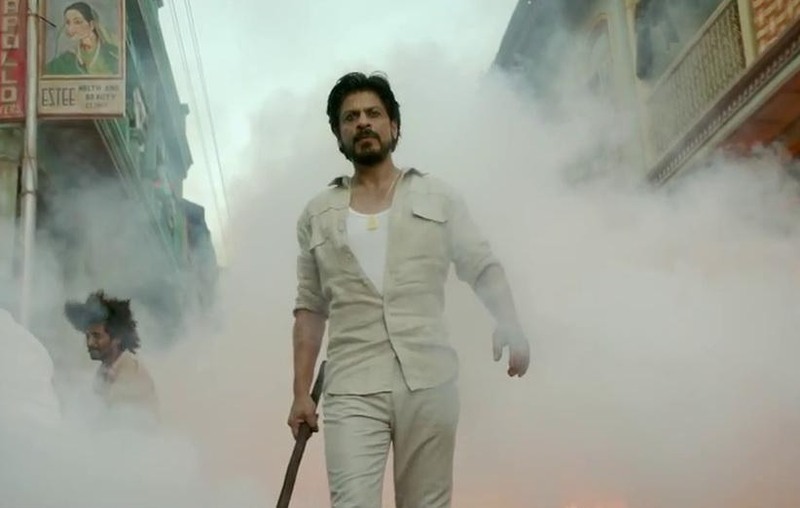 Raees was the opponent he needed in order to be that cop who never gives up even when the system is against him. 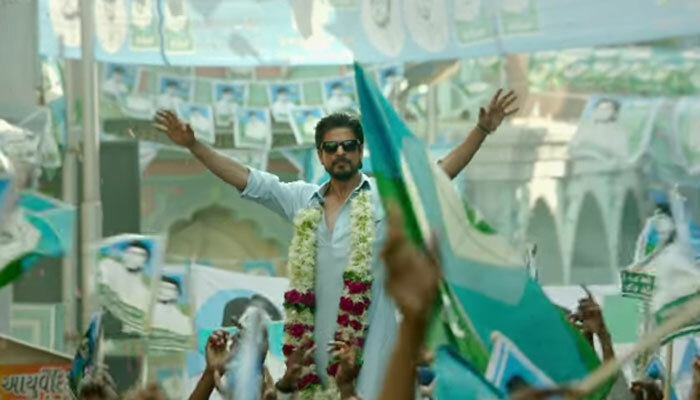 Nawazuddin steals all the scenes as Majmudar permeates Raees’ life and he is a strong and unyielding presence that exasperates the pragmatic businessman. 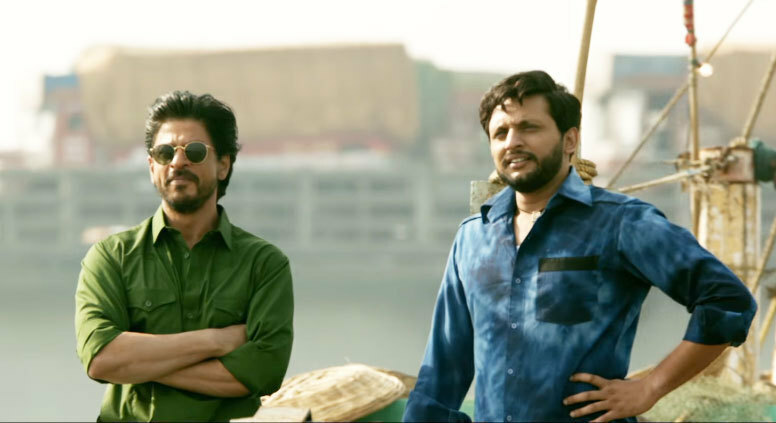 Raees and Majmudar treat each other with respect and as much honesty as is possible, and are the most morally articulate characters. They’re both smart, neither has to be a fool or do anything out of character just to move the plot along, and both actors are terrific in their scenes together. 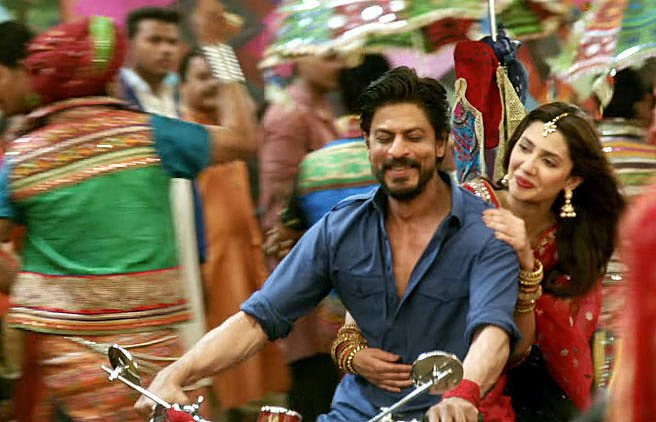 Mahira Khan gives a good and largely understated performance as Aasiya, Raees’ wife. There is no sizzling chemistry but they show a comfortable joy in each other’s company that speaks to a longstanding relationship between neighbourhood sweethearts. 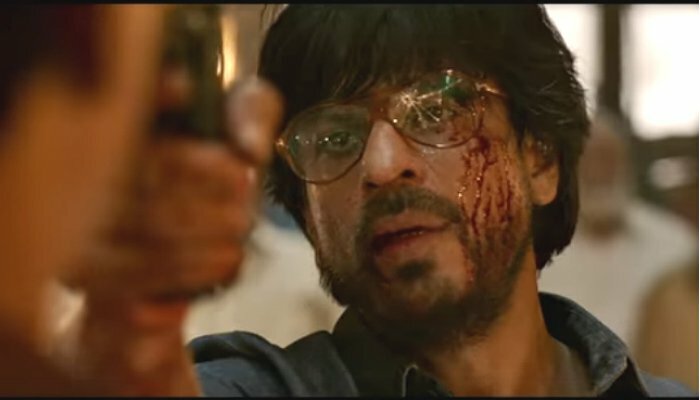 In a scene when Raees came home covered in blood, Aasiya gives him a searching look. His reaction of self-disgust and culpability is what reassures her. She knows his line of business and she believes in her husband. Despite being in the domestic background, it is obvious that Aasiya is respected and liked in the community and she steps up in public when needed. True, she appears to have a baby without a pregnancy but frankly I’ve seen stranger things in Hindi films. 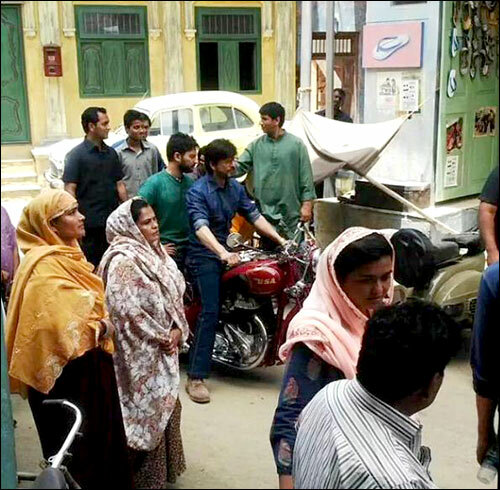 Sadiq (Mohammed Zeeshan Ayyub) rounds out the important people in Raees life and his performance is endearing and realistic. Friends since childhood, Sadiq is the only one apart from Aasiya that can see Raees as just a bloke. They keep some of their cute childhood mannerisms, retell old stories, and they look out for each other no matter what. Even when Raees flies off the handle, Sadiq is there to try and talk him down or remind him of what’s important. It mustn’t be easy to carve out your own space when SRK is going the full Rahul, but this friendship works. The cat and mouse between Raees and Majmudar dominates, but there are some excellent character actors in support. 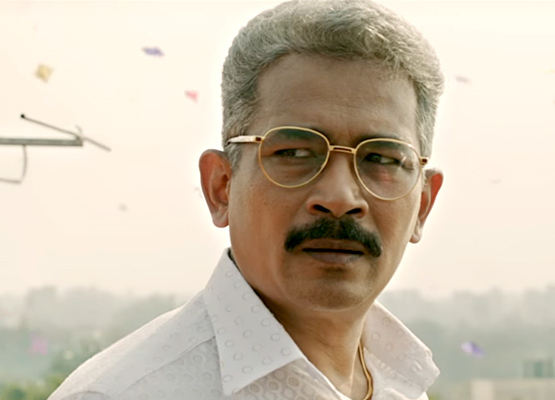 Atul Kulkarni is charming and vile as the calculating Jairaj Seth who won’t easily let his former employee best him. Narendra Jha is Musa Bhai, the enigmatic Mumbai based don who helps Raees set up on his own. Raees is at best morally ambiguous, and the ending may not be what you expect, but I enjoyed the film. Rahul Dholakia directs with a vintage masala flavour, but unfortunately messes up the formula so it gets a bit diluted towards the end. It’s an uneven ride but worth it for the excellence of Nawazuddin and SRK and the retro cops and robbers style. This entry was posted in Bollywood and tagged Atul Kulkarni, Hindi, Mahira Khan, Mohammed Zeeshan Ayyub, Narendra Jha, Nawazuddin Siddiqui, Rahul Dholakia, Shah Rukh Khan, SRK. Bookmark the permalink. From what I read, the masala was diluted by SRK and Farhan Akhtar, who wanted to mix ‘their’ brand of cinema with that of Rahul’s. I think the latter was too awestruck at getting a ‘star’ to argue too much. I’m looking forward to watching this, however. It’s not so much that the masala is diluted as that Rahul added too many things that felt last minute, and they got the better of him. SRK in some scenes plays it how he would have in movies in the 90s, but he goes for the dishooming and speeches in a pleasingly vintage manner. I’ve lost my tolerance for Farhan Akhtar over the years and it wouldn’t surprise me he stuck his oar in when it was not needed 🙂 This film seems to be really dividing opinion with not a lot of people in the middle ground, so I look forward to hearing what you think. Oh – Have you succumbed to Lion yet?